WASHINGTON—Repeatedly hitting the tech CEO with questions about his social media site’s methodology, members of Congress demanded Wednesday that Mark Zuckerberg tell them exactly how Facebook got people to give up their civil liberties without a fight. “Mr. 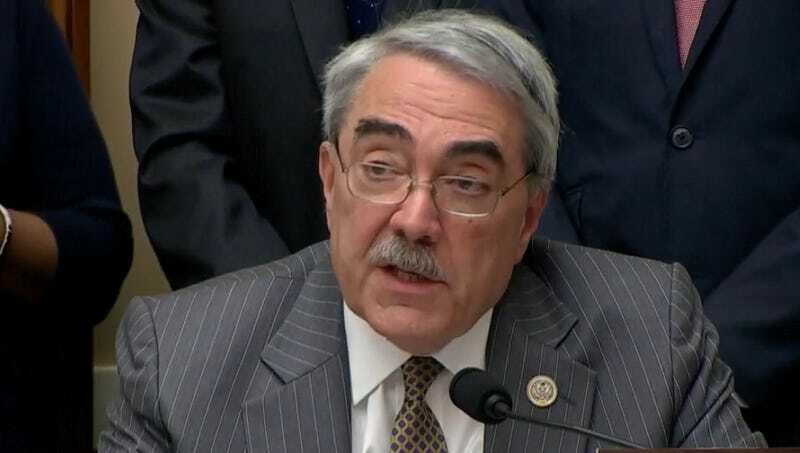 Zuckerberg, please explain in detail how you convinced people to voluntarily disclose their location, personal relationships, and interests without anyone protesting you,” said Rep. G.K. Butterfield (D-NC), echoing concerns of members from both parties on the House Energy and Commerce Committee as they sought to understand the means by which Zuckerberg was able to convince more than half of all Americans to relinquish their personal privacy with virtually no argument. “We want to make sure we have this right: Even after you admitted that your site sold people’s information for profit, could be manipulated to infringe on press freedom, and even convinced people who to vote for, there wasn’t much backlash at all? Could you just outline for us precisely how you can coerce people into believing what you want them to believe without arousing much suspicion or making them mad? Thank you.” At press time, Rep. Marsha Blackburn (R-TN) was asking Zuckerberg to walk Congress through how they could make the Patriot Act into a social media site.